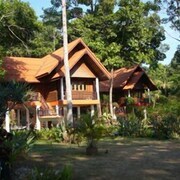 Nestled on the beach, this Nuea Khlong villa is 1.4 mi (2.2 km) from Ko Jum Beach. 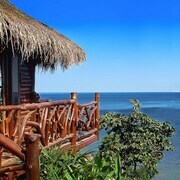 Nestled on the beach, this Nuea Khlong resort is 3.2 mi (5.1 km) from Ko Jum Beach. 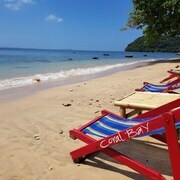 Nestled on the beach, this Nuea Khlong hotel is 3.2 mi (5.1 km) from Ko Jum Beach. Nestled on the beach, this Nuea Khlong hotel is 3.6 mi (5.8 km) from Ko Jum Beach. Nestled on the beach, this Nuea Khlong hotel is 5.4 mi (8.7 km) from Ko Jum Beach. 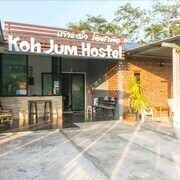 Offering direct access to the beach, this Nuea Khlong hotel is 2 mi (3.3 km) from Ko Jum Beach. 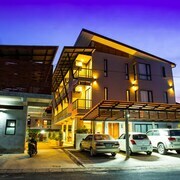 Situated on the beach, this hotel is 2.8 mi (4.4 km) from Ko Jum Beach. 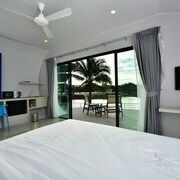 Nestled on the beach, this Nuea Khlong hotel is 4.9 mi (7.8 km) from Ko Jum Beach. 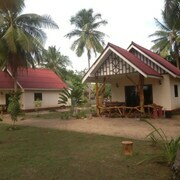 Situated in Nuea Khlong, this hostel is 0.8 mi (1.3 km) from Ko Jum Beach and 31.8 mi (51.2 km) from Nakharin Hospital. This Nuea Khlong hotel is on the beach, 1.4 mi (2.2 km) from Ko Jum Beach, and within 32 mi (52 km) of Tonsai Pier and Ko Phi Phi Viewpoint. 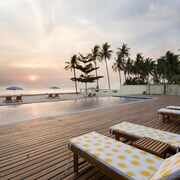 Nestled on the beach, this Nuea Khlong hotel is 5.2 mi (8.3 km) from Ko Jum Beach. 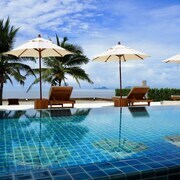 Offering direct access to the beach, this Nuea Khlong hotel is 3.7 mi (5.9 km) from Ko Jum Beach. 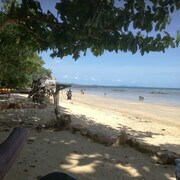 Nestled on the beach, this Nuea Khlong hotel is 1.2 mi (2 km) from Ko Jum Beach. 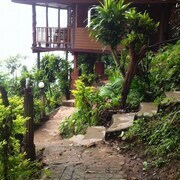 This property, its surroundings, and staff were fantastic. I also enjoyed the property's privacy. What I didn't like was overall noise level from 1) motor boats, 2) night club music playing all day long by one of the pools, 3) kids screaming at both pools. This property needs an ADULT ONLY POOL (and enforcement). Lastly, I thought area near the beach and beach itself could use more effort in being cleaned -- countless cigarette butts and other litter. 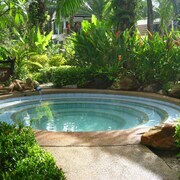 Great property for families with kids. Not such a great property for adults looking for quiet and relaxation. Which hotels are closest to the Nuea Khlong airport? Where to stay near top Nuea Khlong attractions? 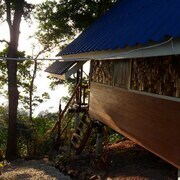 What kind of hotels are in Nuea Khlong? Which hotel chains are in Nuea Khlong? 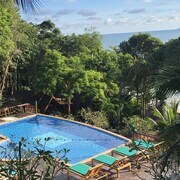 Pack your bags and get ready for an adventure unlike any you’ve ever experienced when you use Expedia.com.au to book a room at one of the hotels in Nuea Khlong, Krabi Province. We’ve compiled a massive selection of accommodation options, making it easy for you to score unbeatable deals on local hotels, motels, and resorts at any time of year. In addition to our rock-bottom room rates, you can save even more money and simplify your life by bundling your Nuea Khlong accommodation with your airfare. By combining your travel expenses into a single package, you’ll get access to special rates not available when booking separately and be ready to rock and roll as soon as you hit the ground. Here at Expedia, we offer top deals to help you get where you’re going without overpaying. And that certainly holds true with our trips to Nuea Khlong. You’ll find a ton of fantastic deals to this city on Expedia.com.au, though if you happen to find a lower rate on a hotel or package somewhere else, we’ll gladly match it. By signing up to Expedia+ Rewards, you’ll have access to the hottest Nuea Khlong hotel deals online. With our exclusive VIP program, you’ll enjoy tons of exclusive extras and deals to make the most of your time in Nuea Khlong, Krabi Province. From spa discounts to free drinks, select VIP Access hotels are ready to roll out the red carpet for you. If you’ve decided on the perfect accommodation, but aren’t quite ready to pay, you can reserve your room and hang on to your dollars until checkout. 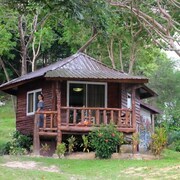 Over 1401 hotels on Expedia.com.au in Nuea Khlong let you book now and pay later. And if your plans happen to change, you can always switch dates without worrying about being charged costly cancellation fees by Expedia.com.au. 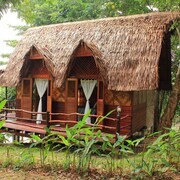 There’s never been a better time to book cheap hotels in Nuea Khlong, Krabi Province - AU$13. Start your search today, and you’ll be amazed by the offers you find. 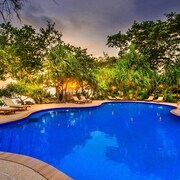 What are the most popular hotels in Nuea Khlong? 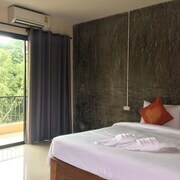 Are there hotels in cities near Nuea Khlong? 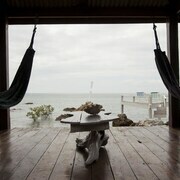 Explore Nuea Khlong with Expedia.com.au’s Travel Guides to find the best flights, cars, holiday packages and more!